After Mr. Alan Kittleman’s seminar last time, we received a very good response from the parents and children. 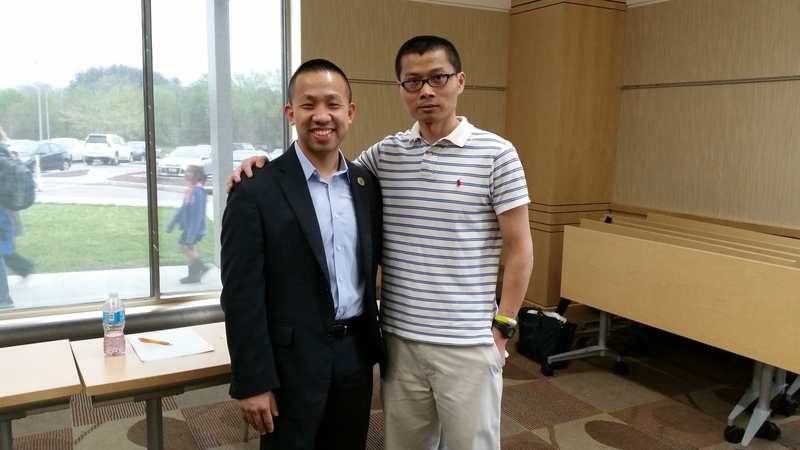 This time, we were honored to have Delegate Clarence Lam to giving seminar to our Youth Leadership Program at Miller Library on Saturday 4/23/2016. We had around 95 audiences, parents and children. 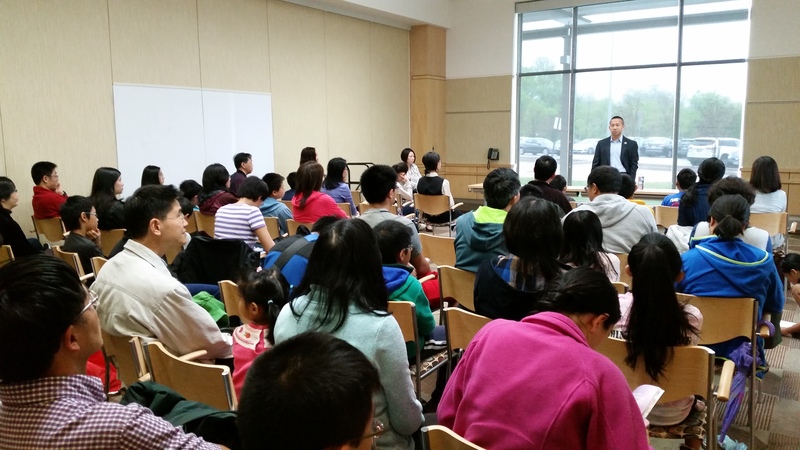 As a Chinese American living here, there are some unique challenges we need be aware while raising our children. For example, in general we put much focus on academic excellence. We always have a pressure to excel in the field which sometimes unintentionally is carried out to pressure on our kids. We have difficulty helping our kids to address peer pressure in this multi-culture, multi-racial environment. We may sometimes have certain expectation on our kids which collides with our kids’ freeodom of choice. Dr. Clarence Lam gave us a very good and insightful reference. He shared so many unique personal experiences while he grew up. He shared his thoughts on community engagement. He shared his experience in the state delegate. I always tell other parents that even we don’t have solutions for those problems our children face, we should be aware of those problems. If we could not find a proper solution ourselves, we can ask help from our community.